I have read all of the negative reviews of the maps feature of iOS 6. One of the apps that I use frequently is RettiGPS, an app that can tell which bus, train or metro to take to reach a particular destination in Helsinki. For some walking parts, Google Maps is really useful in finding a path to the nearest stop. On the other hand, IOS 5.1.1 did introduce the issue where my speakers and HDMI cable no longer worked with my iPhone 4S and that would be nice to have that active again. Better to wait and see if any other issues come up before upgrading the OS. It was fireworks night in Helsinki last night. 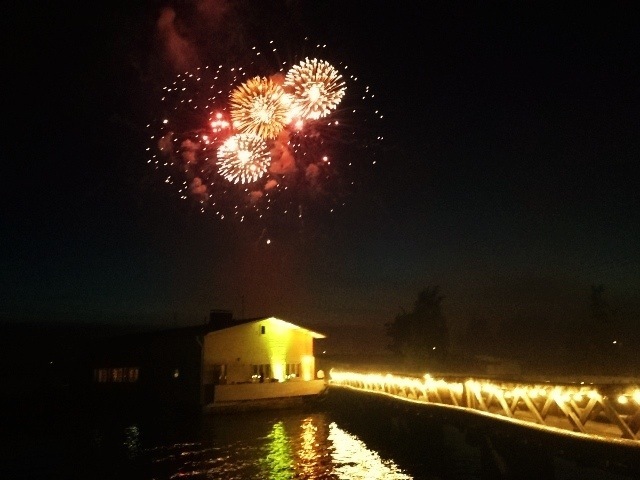 They were launched from Seurasaari island where they could be seen around the bay. Beautiful evening. The Guardian has a stream of the new Pet Shop Boys album, Elysium. Sounds pretty good after one listen.